Baudelaire's poem is a perfect one for my son Edoardo who, being 11 years old, feels that he is growing up too fast. Adolescence is indeed the lovely and terrible age of clumsiness. But, I am confident that this is just a step because, like a poet, he will soon learn to spread his wings and fly. Soar, my boy! Beside them like a pair of idle oars. 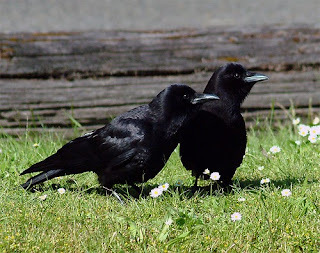 These wingèd voyagers, how gauche their gait! I have traveled with uncle Walt this morning during my coffee break. And, as usual, the journey has been an enriching experience. There is a depth in his work and yet a comradesque appeal that is perhaps what I like most. 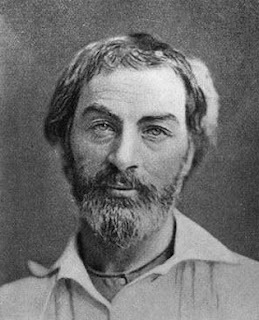 Reading "Leaves of Grass" makes you feel part of a Whole, because Whitman is the largest poet. He doescontain multitudesindeed. Here is an excerpt I truly adore from "Song of an Open Road". And yes, you bet, I will give him myself. I will stick with Walt as long as I live! 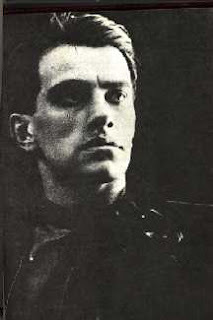 I have been reading Mayakovsky's poems extensively in the past weeks. I deeply love them and I tend to agree with most of his revolutionary ideas. He does sound prophetic at times: the poet must hurry time forward. And he was almost too faithful to his idea considering the fact that he committed suicide when aged 36. His definition of a proleterian as someone in love with the future is quite amazing. His ideas on literature so powerful: Why should literature occupy its own special little corner? Either it should appear in every newspaper, every day on every page, or else it's so totally useless. The kind of literature that's dished out as dessert can go to hell. I am so touched by the verses that follow. They could well be my poetical manifesto. 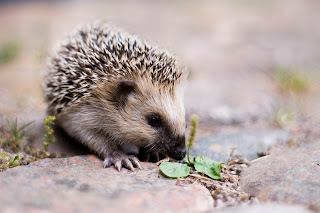 I was driving along a country road this morning when the smallest hedgehog ever crossed my path. It was such an unexpected surprise that I pulled over not only in order to enjoy the wildlife epiphany but because the event reminded me of a quote by Wallace Stevens: "Poetry is a pheasant disappearing in the brush". Well, maybe poetry is a hedgehog disappearing in the darkest greenery. I want to write a haiku in honor of my small, lovely fellow! And let him reappear in my pen! I can think of no better way to begin a Saturday morning than receiving a phone call from a poet! 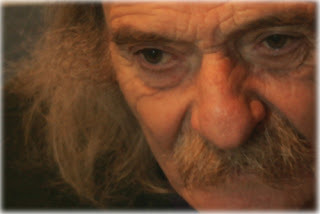 And if the said poet is Jack Hirschman--that is my poetical guru--than the experience is almost blissful. Jack arrived in Bologna yesterday. His wife and him are hosted by a friend-poet, from whose cell phone Jack was calling me. We have talked for ten solid minutes in the most friendly and cordial way. We have agreed to see each other on the day in which I will arrive in Bologna for his reading performance and on the following day as well. He asked me what exactly I am planning to write. At my answer: "The story of your life", he exclaimed laughing "Oh boy!". Gotta love the young man! 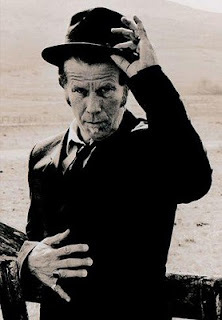 I love this quote by Tom Waits. It's simple and mind-blowing at the same time. Poets are well aware of the danger awaiting the travels of writing, but they must be ready to run the risk. So, here I am ready to plunge in any of Baudelaire's bottomless chasms anytime. Got to love those fabulous falls holding a quill and some leaves of paper in hand! 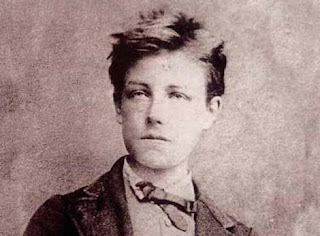 I dreamt Rimbaud last night. In my dream, I am walking along a solitary country road, surrounded by a Northern landscape dotted by dank pastures and gray clouds, when I see a man walking towards me. When he is close enough for me to recognize his features, I am greeted by the palest blue eyes and a smirk. The beauty of his face and the elegant legs clash with the worn, brown boots. I smile now thinking about the Bohemian lad in his soles of wind. One of the most mobile and restless poets of his age. His life is a parable of prophecy and hallucination. His sweetly poisonous words have always bewitched me. And, since I feel nomadic lately--as my dream possibly suggests--here is Arthur's "Ma Bohème"! My only pair of breeches had a big hole in them. I am in Rilke state of mind today. As a translator and writing poems mainly in English myself, I am always fascinated by Rilke's skilful use of language in his French poems--considering the fact that he was Bohemian-Austrian--but even more by his powerful depictions. 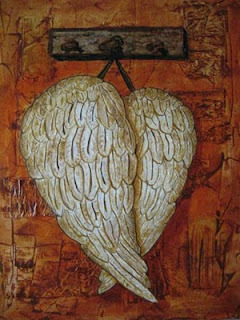 The one I love most is perhaps his Angel in the poem "An Angel At My Table". A visionary yet rustic presence whose invisible traits linger in me after each single reading. 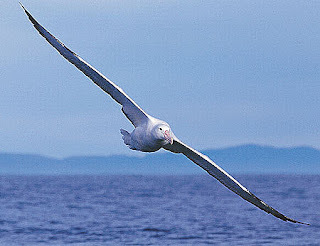 The physical description is missing, but one has the impression of truly seeing the winged creature. Enjoy Rilke's wonderful piece of bravura (not lost in translation)! in the tablecloth under your bread. a simple glass of everyday life. 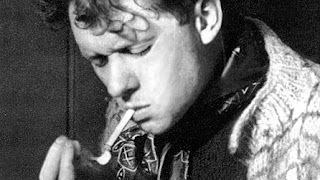 "Love in the Asylum"--my favorite poem by Dylan Thomas--is possibly the most lucid and poetic account of the unbearable madness of poetry creation. I cannot help thinking that the "girl mad as birds" that "raves at her will/on the madhouse boards" and in whose arms the poet suffers "the first vision that set fire to the stars" is a marvelous metaphor for his Muse and the fury of writing. I am deeply touched by this kind of madness. I too crave for a spark of that insanity in my poems. "I am a wanderer so let that be my name" writes Basho in one of his most famous haikus. 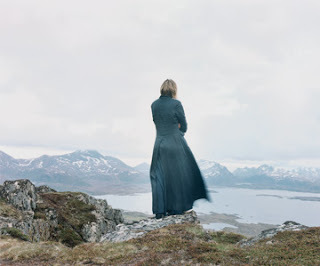 It struck me rereading it this morning how being a poet means also being a wanderer. Wandering is a necessary state for a poet. Soul wandering even more so. Stopping in the middle of my train of thoughts--captured by the beauty of a word--is the beginning of a new soulscape for me. From there a new journey begins. A journey leading to always new paths of ink. Let's be erratic! This afternoon's screening of "Red Poet", the documentary on poet Jack Hirschman, at Rome's Independent Film Festival was a truly stirring event. The Pasolini venue was crowded and the movie as moving as I knew already. I was so glad to be able to talk to Matthew Furey, the director, for almost half an hour. He told me interesting stories about Jack. And, I made him laugh, when I told him what Jack thought about the lead actor. Dear, the man is 77yo but he has the most amazing sense of humor. I wonder if he could be Mr. Zouch's nephew! Why should the Muse ever decide to bother me so early on Sunday morning is a mystery I won't even attempt to solve now. 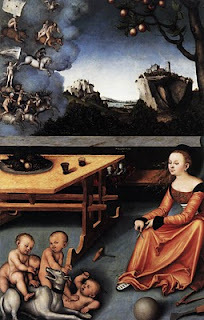 I just hope that my poem may be able to capture the amazing atmosphere of Cranach's wonderful painting. It was a real surprise to discover that Scotland owns a spectacular fuchsia thistle named Melancholy. Its unparalleled beauty is a perfect match to Cranach's work at the National Gallery in Edinburgh. I need to see both live soon, but I am heading back to bed now at 9.45 am Rome's time! Shelley, Modigliani And Me. Or, A Book Of Poetry In The Pocket. Carrying a book of poems with me everywhere I go has become a habit. As soon as I have a chance to, I'll grab the book and avidly read a few poems whether I am stuck in a traffic jam or having my coffee break. Wherever and whenever indeed. 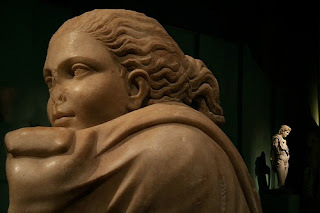 This reminds me that I am just like my beloved Modì, i.e. painter Amedeo Modigliani, who always carried a book of poems with him. It is a well known fact that he was a fond admirer of "Moldoror" by Lautréamont and that he owned a worn copy of the amazingly hallucinatory poem. 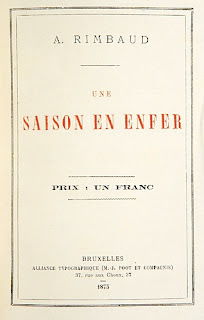 He would read a few pages of the book to himself or to friends and acquaintances in the Parisan bars of Montparnasse. How I would have loved to attend such extemporary readings or hear him recite Dante by heart! Some days are so hectic and full of worries that remaining sane seems impossible. 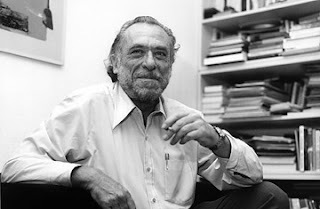 I was standing in a line at the post office waiting for my turn to mail a poetry submission, whilst pondering the latest call from my lawyer--selling my house has turned into the worst of nightmares--when I started reading the book by Bukowski I had with me. It is a wonder how a few words can turn into a balm for the soul. Words full of sarcasm. Bitter words. Brutally honest words. But, Hank truly gave me hope. He made me smile and even laugh.Oh yes, Hank and Poetry will save my Life! 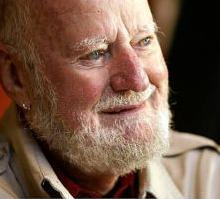 I have always admired Lawrence Ferlinghetti. I stumbled into the Beats in my early twenties and his poems (and Corso's) have always had a great impact on me. I do love his lucid view of the world and meeting him in Rome afer one of his readings fourteen years ago made me realize that the man with the most amazing blue eyes, the poet and the thinker were a kind of indissoluble Trinity. I bought "Poetry As Insurgent Art" last August at City Lights--which was also the very first place I wanted to visit as soon as I arrived in San Francisco. It very much sums up his general point of view that poetry and poets must meet the challenge of this cataclismatic times. It is a lovely, thought-provoking compendium on poetry and wonderful food for thought. I love visceral poets. I love poetry made of flesh and bones, of marrow and heart. And pain. I was seventeen when I first read a poem by Anne Sexton. It was love at first sight. 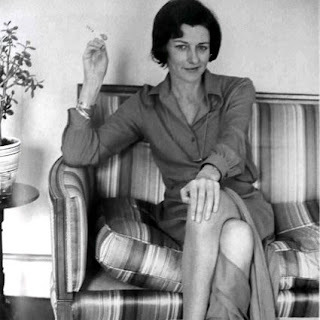 I could not help reading all she wrote from then onward and being so devastated by her words and life. I still retain the magical power with which a sentence of that poem hit me: "My mouth blooms like a cut." If only my verses could be as powerful as this! 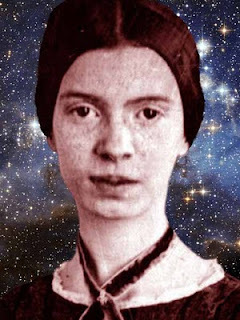 Anne remains a spirit guide. Ap-pall-ing clouds coating the lands as crows shadow daisies. Yes, I proudly wear poetry. Every time I watch my ring I rejoice because those lines were written for me and no one else owns a more precious jewel. It is not the silver that makes it precious, but the beauty of the words that were chiseled on it. More so, it is the meaning of those six lines--that are the final stanza of a longer poem--that move me and remind me how incredible fortunate I am. Nothing like those words. They burn in me like an inextinguishable fire every day. The curtain winks - dawn dazzles my sleepless senses awake, as the aching ink invades my paper-soul. This poem has been published on WLoAD. Her first name and her amazing smile only. 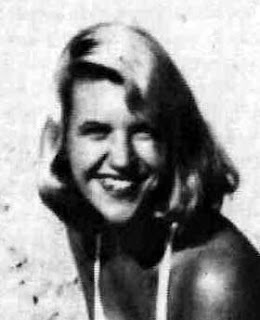 That's how I wish to celebrate Sylvia Plath's 30th birthday. An endless 30th, since Death shall have no dominion and her poetry is immortal. I have just discovered that poems can fall through the cracks. What a frightening thought! I guess technology is to be blamed. But, I still believe in the power of the handwritten word. Hand me my ink and my paper, O Muse, please and thank you! Spring at the Protestant Cemetery of Rome makes even gray days seem brighter and the location more inspiring. Keats' tomb is covered with violets and lovely, yellow narcissuses adorn Percy Bysshe's tomb, making the place even more dear to me. If possible! Sending poetry to magazines, eventually. Took me too long to get started and, after a week, I am glad to report my very first acceptance and my very first rejection. Keep writing and ad maiora!